Fostering Great Employee Relationships Through Team Building. So often we are asked to organise a team building event either as a standalone activity or as part of the main global conference. 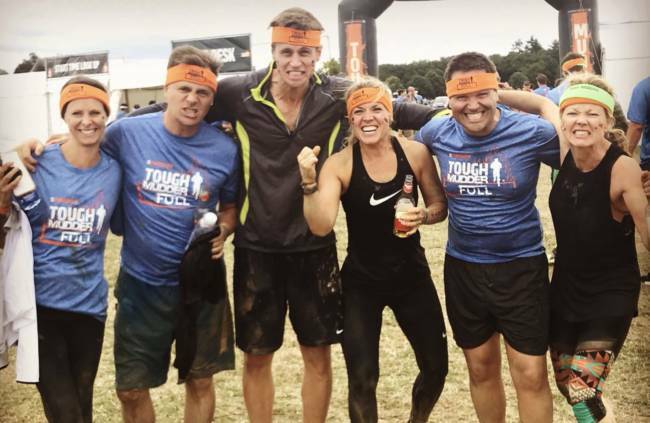 From time to time, we like to check out the activities we are proposing to clients and when the opportunity to test if the Tough Mudder challenge was really a team activity or an individual challenge only for the elite, we jumped at the chance. 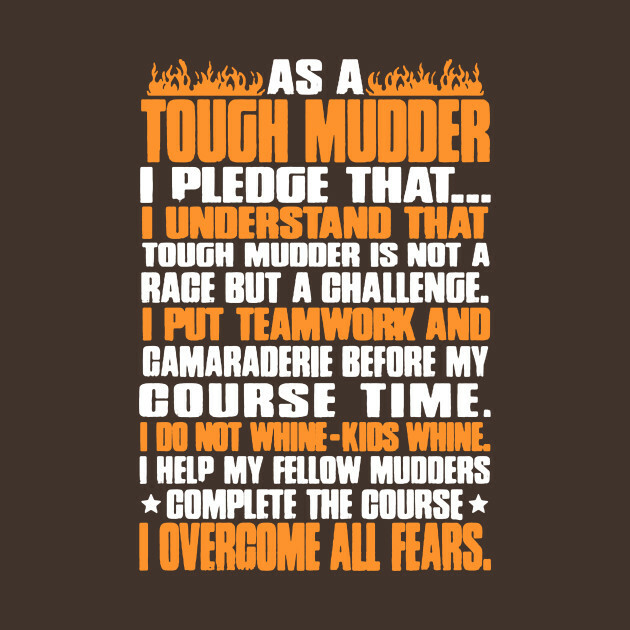 Although so often perceived as a solo activity and an extreme challenge, the concept behind Tough Mudder is about team camaraderie and is open to everyone regardless of ability. It is about overcoming fears, helping everyone if they are in your team or another, being good spirited, helping team members to achieve the impossible and completing the challenge (not the race) as a team regardless of rankings and final position! There are no prizes for first or last just prizes for completion and camaraderie. Some of the team had never met before, we quickly realised it would be impossible to complete the course unless we worked together as a team. 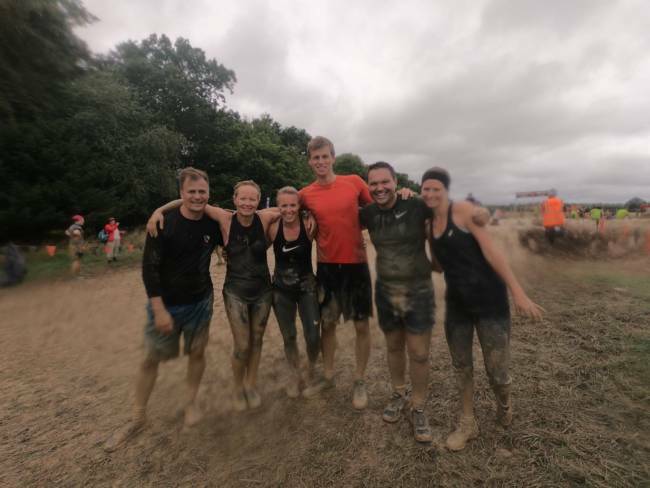 We came together as a cohesive group to get over some of the most challenging obstacles we had ever seen….mud banks, ice containers, barbed wired crawls, moving monkey bars and the not so popular electric shock run! Who thinks them up? Whilst the event itself was challenging, fun, painful, frustrating and exhausting, each in equal measure, we loved it. Everyone bought different strengths to the team, be it, strength, height, motivation, strategist, support but ultimately everyone encouraged and supported each other around the whole course. The sense of achievement was immense. We always advise our clients that the event should be fun, creative, inspiring and provide something different that will intrigue and engage everyone. It’s great to try something new which encourages colleagues to collaborate and see everyone in a new light. It’s a discovery! The first questions we ask a client are “What is the purpose of the team building? Why are you doing it? What are the outcomes that you are hoping to achieve? What are the results of a successful team building afternoon?” The rest just follows on from their answers to these simple yet essential questions. Team building events have so many positive outcomes. Not only should the employees come out having had fun but also with an immense feeling of achievement and satisfaction. If your team feels engaged, having achieved its purpose, or completed a challenge together, they will be a more cohesive team, they will feel more valued and ultimately more productive. Will it build bridges across departments? Will it improve morale and engagement? How can we make employees feel more valued? Will it create a fun culture within the business? Will it develop communication and collaboration across the business? Finally, will it encourage trust and teamwork? Every team building event we organise is different from the last, but each have the same core values. So, if a Tough Mudder isn’t your cup of tea why not try an Escape Room experience where teams must work together to solve clues and work through problems together or a Film Making experience where the final product could be used to promote your business or an aspect of your company. Alternatively, something as simple as arranging a dinner out the latest restaurant of the moment will place them in a more relaxed and casual environment and foster greater working relationships within the team. You may also find that they discover much more about each other than when they sit around the boardroom table! Whatever you choose to do remember to make it enjoyable and keep an eye on the objectives.